When thinking about your birth experience, you might be thinking about getting an epidural when you’re in labor. If you don’t know what an epidural is, an epidural delivers pain relief medication continuously to your lower body and blocks labor pain. The medicine goes through a catheter, which is a very thin and flexible tube, and the catheter is inserted into the laboring mother’s epidural space in her lower back. It allows you to rest if your labor is lasting too long. It helps reduce the discomforts of childbirth so women can have a more positive birth experience. If you deliver by cesarean, an epidural will allow you to stay awake to see your baby and will also provide effective pain relief during recovery. 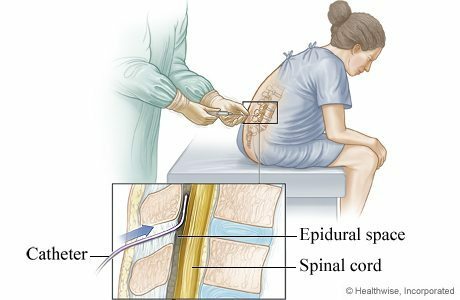 When other types of coping techniques are no longer helping, an epidural can help you deal with exhaustion, irritability, and fatigue. An epidural can allow you to rest, relax, get focused, and give you the strength to move forward in your birth experience. The use of epidural anesthesia during childbirth is continually being refined and much of its success depends on the skill with which it is administered. Epidurals may cause your blood pressure to suddenly drop. For this reason, your blood pressure will be routinely checked to help ensure an adequate blood flow to your baby. If there is a sudden drop in blood pressure, you may need to be treated with IV fluids, medications, and oxygen. You may experience a severe headache caused by leakage of spinal fluid. (Less than 1% of women experience this side effect.) If symptoms persist, a procedure called a “blood patch”, which is an injection of your blood into the epidural space, can be performed to relieve the headache. After your epidural is placed, you will need to alternate sides while lying in bed and have continuous fetal monitoring for changes in fetal heart rate. Lying in one position can sometimes cause labor to slow down or stop. You might experience the following side effects: shivering, ringing of the ears, backache, soreness where the needle is inserted, nausea, or difficulty urinating. 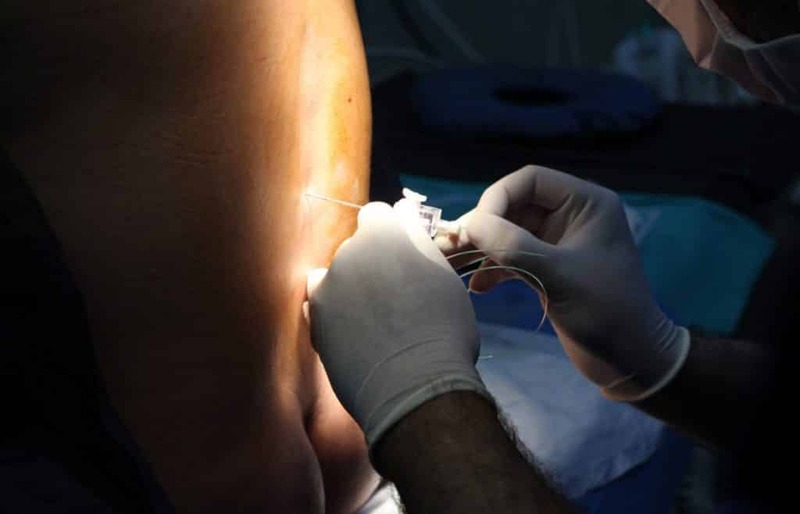 You might find that your epidural makes pushing more difficult and additional medications or interventions may be needed such as forceps or cesarean. Talk to your doctor when creating your birth plan about what interventions he or she generally uses in such cases. For a few hours after the birth, the lower half of your body may feel numb. Numbness will require you to walk with assistance. Though research is somewhat ambiguous, most studies suggest that some babies will have trouble “latching on” causing breastfeeding difficulties. Other studies suggest that a baby might experience respiratory depression, fetal malpositioning, and an increase in fetal heart rate variability, thus increasing the need for forceps, vacuum, cesarean deliveries and episiotomies. Having been to many, many hospital births and supporting women through all types of deliveries, I’ve noticed similar patterns and outcomes when women get epidurals too early. It is beneficial to wait until you are in active labor and your cervix has dilated to at least 4 centimeters before you call for an epidural because your body has established active labor (strong, continuous contractions) and because of that, you are reducing your chances of needing more interventions as well as a C-section. If you get an epidural too soon, it can 1) slow your labor, 2) potentially stop your labor all together, and 3) it increases your chances of needing a C-section. The ladies who received an epidural before they had strong, consistent contractions had their labor slow down which resulted in them needing Pitocin (the synthetic form of oxytocin – the hormone that creates contractions) to help increase and strengthen their contractions. When your labor slows down, this prolongs your labor and your baby’s birth and leaves more time for problems to arise. Women who have gone to the hospital at the very beginning of their labor not having a good, established labor pattern, but still received an epidural, caused their labor to stop completely. Not good! In situations like this, sometimes even Pitocin can’t help you get back into labor. These two medications that you have are combating one another. Your epidural is making your body slow down and relax while the Pitocin is telling your body to hurry up and have a baby, so it can lead your body to making no progress. If this happens then your doctor might try to break your water, if your water has not already broken, to increase your contractions. The problem is, breaking your water is not a reliable form of induction and doesn’t always cause contractions. The earlier you receive an epidural, the higher your chances are that you will need more interventions, which will, more than likely, cause you to need a C-section. If your body is not able to progress and allow your cervix to open to 10 centimeters to get you to pushing, you will need to have a C-section. At the end of the day, this is your body, your baby, and your birth experience. If you feel like after knowing all of this information that it’s the right decision for you to get an epidural right then at the beginning, then do it. I like to educate families about the benefits and risks to every decision, but once you understand those points, make the best choice for you whatever that choice is. This is why I say that whenever you decide to get an epidural, either early or later in labor, both options are right because you made the best choice for you.